Ric provides senior leadership across the practice and in support of assigned projects. He is a very experienced architect and design manager. He assigns resources and manages the delivery of project objectives according to the agreed brief. Ric’s passion is to deliver collaborative, creative and functional design within an affordable framework. 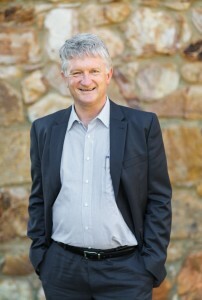 Ric is the founder and Managing Director of SQC Architecture. He has 30 years experience across a range of project types and sizes demonstrating full understanding of project scope from procurement to delivery in relation to commercial, residential and community consultancies. Ric has grown the practice since 1995 by creating quality architectural solutions for building users, fostering a teamwork approach and delivering professional services with integrity. Today, with a significant team of professional, technical and administration staff, and the desire to invest in projects that achieve great community value, the practice focus is public infrastructure. Commissions in health, aged care, church, community and education meet Ric’s passion for designing buildings that are functional, delightful, affordable, and that improve people’s lives. People are at the core of Ric’s thinking from project beginning to end. He values the contribution of all participants in the process of briefing, designing, constructing and using any building. This collaborative leadership and management style ensures all involved enjoy the process as much as the product. In 2013-14 Ric oversaw the delivery of the substantially renewed Taylor Primary School, which was awarded the Education Prize by the Australian Institute of Architects. Ric was also inspirational in leading the team to deliver excellent, innovative, environmentally sustainable and aesthetically pleasing educational facilities across 16 projects for the Department of Education and Training in 2010. Ric is often the Design Architect and Verifier. In this role, he liaises with the client, monitors project milestones, oversees sub consultant coordination, verifies documentation and, together with the project team, ensures the integrity of the brief intent is delivered. When it comes to exciting pieces of architecture, Ric appreciates the Sydney Opera House for its brilliance in creativity and delight; the Taylor Primary School for its representation of creative and collaborative delivery; and the Australian Parliament House for its understated elegance.